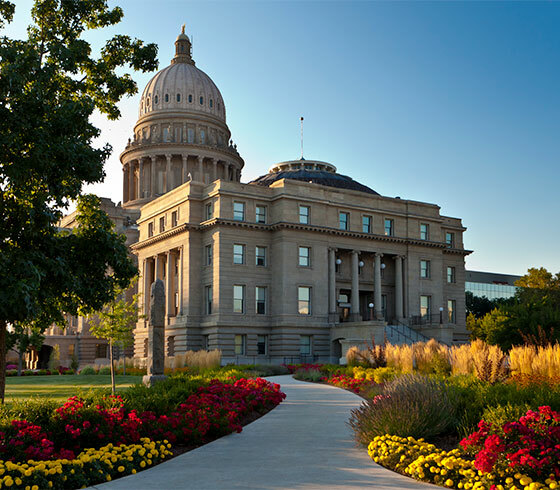 In 2006, plans were set in motion to enlarge the Idaho State Capitol Building to the east and west with two 25,000 square feet, single level, below grade expansions. 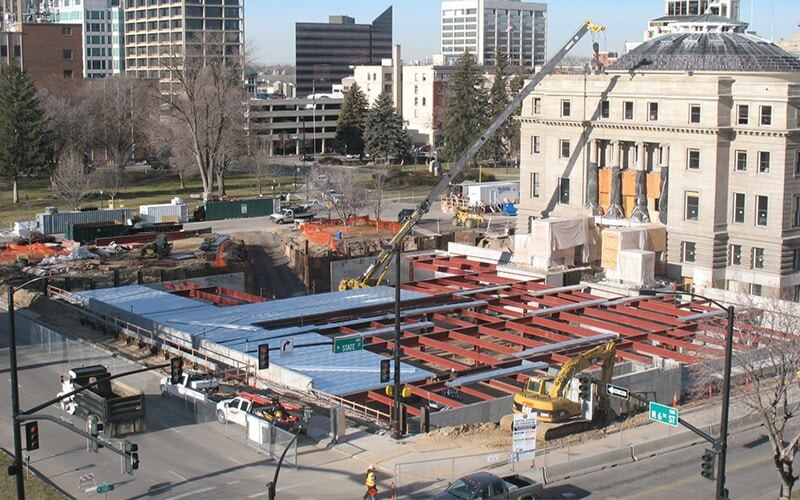 Jensen Belts Associates become part of the McAlvain design/ build team to complete this massive renovation project. 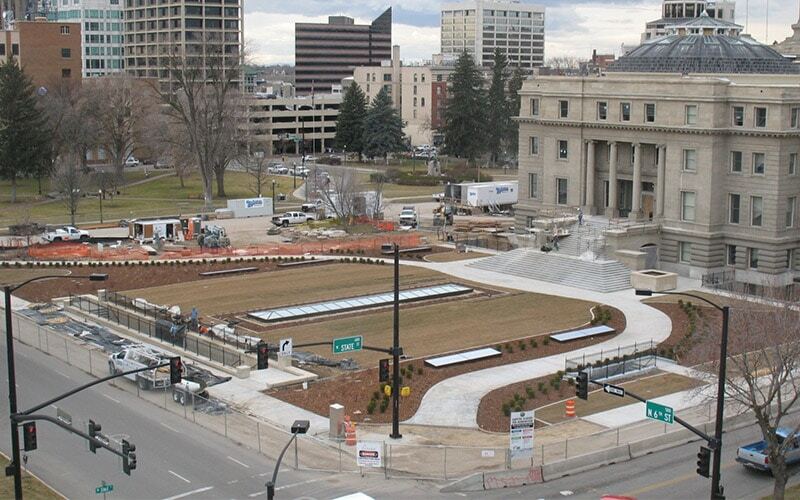 Jensen Belts Associates provided the team with expertise in handling preservation of the historic Idaho State Capitol grounds. The process included evaluation of existing trees to be preserved, salvaged, or removed. New site design solution required integration of the old and new. Much of the new plantings and site improvements were made on top of the underground expansions creating what are essentially rooftop gardens. A lightweight soil mixture was used to decrease soil loads on the expansion lids. Skylights in the landscape help bring natural light down to the space below. 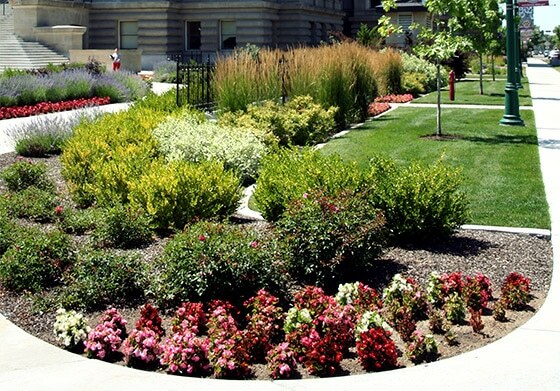 The plantings were designed to be both a mix of traditional and modern American styles including many evergreen boxwoods, ornamental grasses, and colorful perennials.